Even if you’re a developer, it can be nice to use an API out-of-the-box without writing code. Fortunately, you have several options to do this with Clearbit. Whether you’re trying to build target account lists, find leads, or enrich customer data in Salesforce, you can do it without getting too technical. 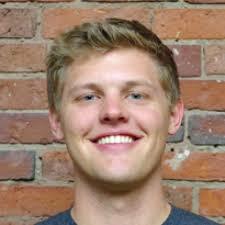 Tray.io is a new business that builds connectors between popular apps and APIs. They have a slick drag-and-drop interface for integrating products with one another, and they’ve built a couple of great Clearbit integrations that you can set up in minutes. 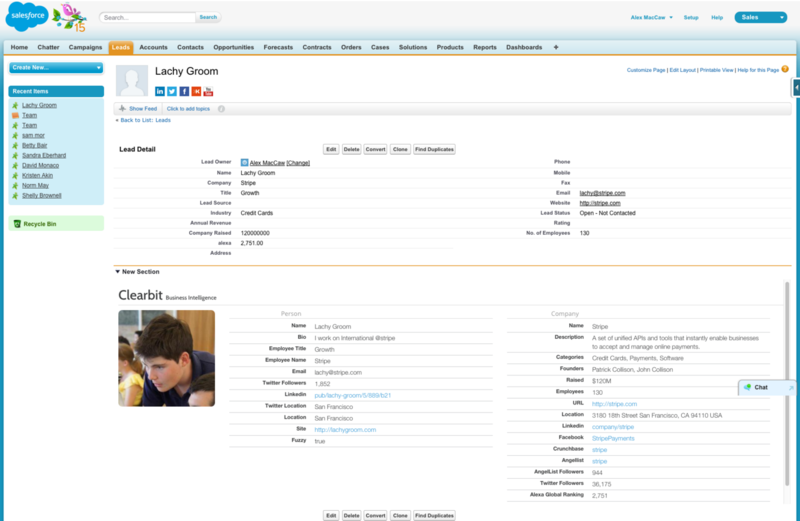 The first is a Salesforce integration that adds new contacts/leads based on the criteria of your ideal customer profile. You can use it to find target companies, collect key contacts’ email addresses, and add them as leads/contacts into Salesforce. The second Tray integration connects Clearbit to Intercom. Using this integration, you’ll see enriched data for your users in Intercom instead of just email addresses. This allows you to route leads to your sales team, understand people who reach out for support, and even trigger emails based on a user’s role, industry, or company size. Our integration with Google Sheets is great for instantaneously getting back targeted lists of businesses and then emails for key contacts at those businesses. Select Discovery to generate a list of companies based on location, industry, etc., or if you already have a list of company domains, select Prospector to find people’s email addresses based on their job titles. Just need to enrich a list of emails you already have? Select enrichment and watch the magic happen. Our Salesforce integration can automatically enrich your lead/account data. Once Clearbit for Salesforce is installed, leads, contacts, and accounts are automatically enriched with critical Person & Company data, ranging from job title to employee count to company technology used. This data is displayed for quick research and can be used to automate lead prioritization and routing. See how Flexport uses the Salesforce integration to identify potential clients. Each of these tools serves a different purpose, and each lets you leverage Clearbit's products without writing a single line of code. If you just want to see what the data we can return looks like, try plugging an email address into our Lookup widget in your dashboard.